Football fans will be crying into their beer this weekend now demolition of Preston's last matchday pub has finally got underway. But as bulldozers moved in to knock down The Sumners in Fulwood this week, a Town Hall spokesperson revealed council approval to do the work had still not been granted. Contractors applied to the planning department for permission to demolish the iconic alehouse at the end of August. But as yet no decision has been made by officers and councillors. The spokesperson said: "Relating to planning application 06/2018/0957, this application was registered on 30 August 2018, but has no decision as yet. 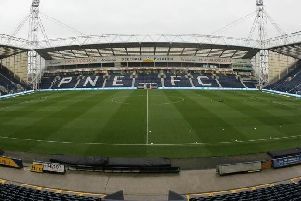 The Sumners has been the meeting place for Preston North End supporters before and after games for decades. The pub, built in 1985 to replace one of the same name, closed its doors for the last time this summer due to a decline in trade. It was put up for sale for £600,000 and was snapped up recently by a mystery buyer. What will replace it on the prominent corner site has yet to be revealed.